Well what an amazing event we had .. This was the first year that we had brought out the bling, and had a stand at any convention and what better place to start than the mighty Feel the Force Day. This event is the reason why a team of us run our way around Disneyland Paris every September, the reason we are so passionate about getting as many people to support us, the reason Sam gets all Bob Geldoff on you every year – and it is quite simply amazing. Ben worked late the friday night before the event to make the display stands for the medals (which looked amazing as you can see in the pic above). 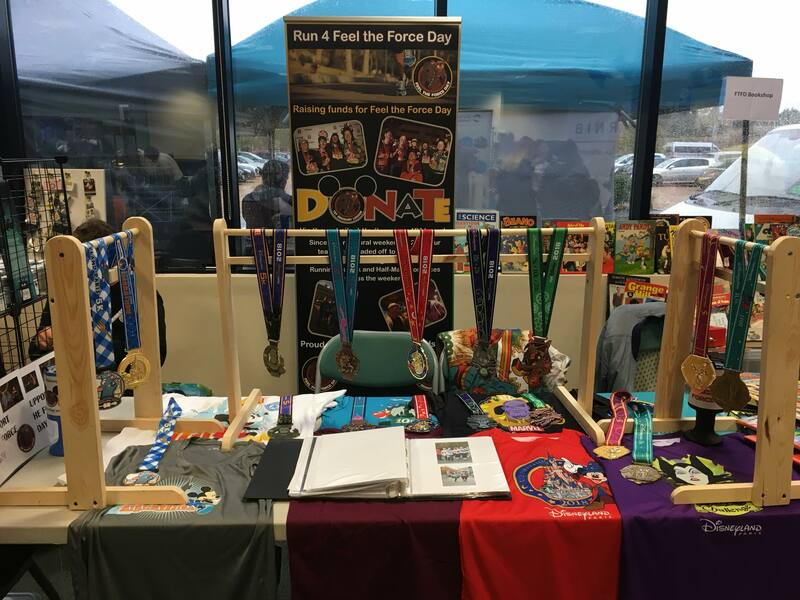 We took medals from the past 3 years, race tshirts and as much info, maps, bibs and photos that Sam could cram into a scrap book to show what the Magic Run Weekend is all about. Every thing was laid out and ready and we thought a couple of people would come and have a chat but we weren’t expecting much. The stand was busy all day, with people interested in what what, where and why. So many people have said they would like to join the team or support us in some way and we lost count of the amount of people who thanked us and said they were proud of our achievement .. it was humbling and made every step worth while. Highlights were .. well there were so many – Ben of course wore his Tinkerbell costume for part of the day which went down a storm, Stitch danced on stage with the wildcats dance group, Sam explained about the run about a million times and didn’t have to break out the Geldoff once 🙂 and we had the cutest little blind girl who came over and felt every medal whilst we explained what was on them, the colours and which race it was for .. she was lovely and exactly the reason we wanted to share our medals with everyone. 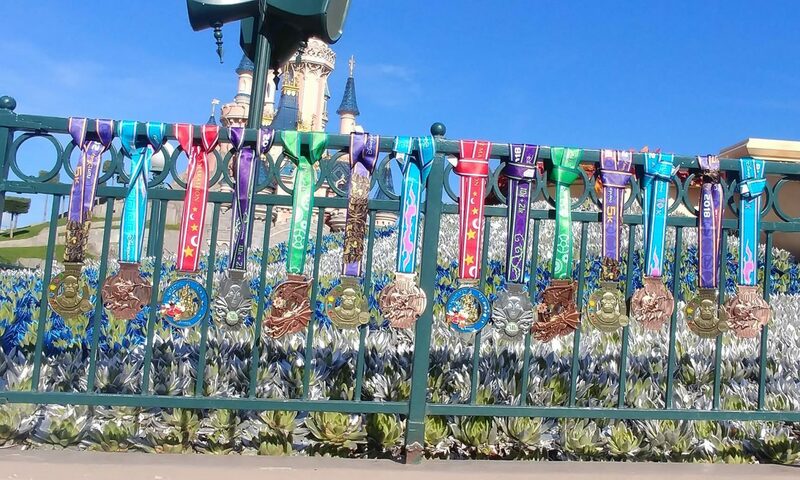 So we have decided that we would love to bring Run 4 Feel the Force day, all the info and medals to as many events between now and the next run weekend as possible. We already raise money inbetween runs as part of the East Kent Costume Club and at other conventions we attend as traders or cosplayers – but we would love to take the stand and Run 4 Feel the Force Day on the road. If we can attend a convention near you please contact us and let us know. We only need a standard pitch to display the bling and run a small tombola. To spread the word about Feel the Force Day and the amazing work the team do, whilst publising the run and raising some funds would be fantastc.